After Uber’s pullout, where’s the next hope in Taiwanese startup ecosystem? Taiwan used to be the strongest economy among the Asian tigers. 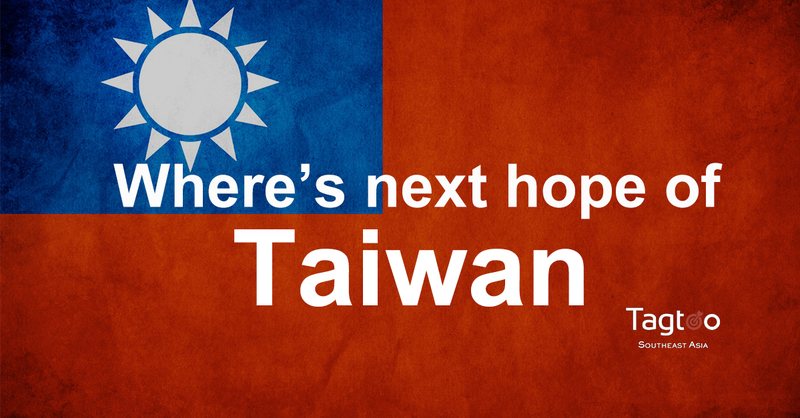 What could now be holding Taiwan back, in terms of startup innovation? In the middle of 2013, a year for rapid expansion, Uber cheerfully announced its official launch in Taiwan, desperately preaching the advantages of the sharing economy. The coming of Uber hit the headlines of every major media channel. In the name of embracing creativity and innovation, a series of propaganda campaigns effectively caught people’s attention. Within a short time, more and more people chose to take Uber instead of hailing a local taxi. In July 2014, however, Uber’s conspicuous appearance raised the suspect of its legality. The Taiwanese government began to investigate whether Uber’s business fit its original registration as an information service industry. Unsurprisingly, Uber was categorised under the transportation industry, requiring licensed drivers and paying more tax. What’s worse, Uber’s viewpoints on categorising its own drivers as contractors — but not company staff — also diverged from the government’s findings, unveiling the prelude of a fierce battle between two parties. After getting fined nearly US$7.5 million in total because of law violations, the astronomical figure made everyone worried and finally pushed the startup to deliberate over existing strategies. On February 10, the debates and ongoing disputes eventually came to a temporary end, with Uber deciding to suspend operation in Taiwan and looking forward to coming back when its legality is confirmed. While Uber’s launch in Taiwan triggered harsh conflicts between supporters and opponents, its tremendous popularity and pressing pause, to a certain extent, are warning signals. It temporarily highlighted internationally ignored facts about stagnation, not just in the taxi industry. It also brought up points about government regulations and, more importantly, the entire startup scene. Taiwan has always been famous for its comprehensive transportation system with subway, buses, and taxis forming thorough networks connecting one another. Nevertheless, among the three options, taking taxi might not be the top choice for travellers. It is not because of the higher fare compared to other options, but because of the uneven quality of services, such as absurd attitude and messy seats, along with occasional dispute regarding deliberate overcharging and intentional detours. Despite the fact that there exists a local taxi-hailing app called TaiwanTaxi, its user experience throughout the riding journey makes passengers extremely unsatisfied and annoyed. Problems including imprecise GPS location, abrupt ads placement, and inefficient customer service. Worse still, some drivers were found trying to save transaction fees absorbed by themselves by pretending incapable of using credit card machines or procrastinating until passengers change their minds and, then, pay in cash. Even though Uber pulled out from Taiwan, Uber drivers have come up with a solution in response to the absence of Uber’s platform. By letting passenger post information of pick-up and drop-off destinations on exclusive groups created on either Facebook or Line, the replacement, also called underground service, is becoming more and more vibrant. Although the responding service is still illegal and may face suspension, passengers surveyed mostly claimed they were no longer able to tolerate traditional taxi services and were forced to look for alternatives. In fact, there was a traceable precedent before Uber’s striking withdrawal. In September 2015, PayPal, one of the world’s largest Internet payment companies, announced service suspension in domestic transactions due to compliance with government’s e-payment regulations, which requires the establishment of a subsidiary and registered capital of US$16.1 million. Although PayPal claimed it was a strategical program update, what PayPal did, indisputably, was terminate its service in Taiwan. The abrupt pause surprised and shocked the general public, online buyers, casting a shadow over Taiwan’s e-payment development. The originally lagging-behind industry became unbelievably devastated and extremely uncompetitive when one compares how fast the progression is in China and Japan. When delving deeper into the whole context behind these developments, the undeniable truth lies in the unfavourable market size and outdated administrative orders in the country. Even though the level of consumption in Taiwan is almost the same as developed countries, the smaller population base, only 23.5 million, makes this market relatively unappealing. The conservative legal framework, which was criticised for being overprotective for domestic industry, could also deter incoming merchants from entering. Coupled with PayPal’s pullout and other international companies’ withdrawal, people are becoming afraid of losing global recognition. The blizzard might become strong enough to stop any ventures from coming in after Uber’s announcement of its pullout. Uber’s pullout also evokes increasing concern for Taiwan’s startup ecosystem. While Garena and GrabTaxi were hatched in Singapore and Malaysia respectively, there isn’t existing any local unicorn startups in Taiwan. Those Taiwanese startups trying to expand to China or Southeast Asia have mostly failed in an increasingly competitive environment — or are struggling to discover a niche to survive. Their expansions, wherever they are heading, seem extremely tough and face a bleak prospect. Some pointed out that the Taiwanese government’s vague regulations and the lack of practical executions should be blamed. With that said, the mindset of being complacent and the overindulgence of “little happiness” — referring to how its satisfaction with the status quo and lack of ambition and motivation to pursuing better — could be the contributing factors, as well. Thirty years ago, Taiwan used to be the strongest economy among Four Asian Tigers, the other ones being Singapore, Hong Kong, and South Korea. With the rise of massive manufacturing capability, Taiwan’s economical development was accelerated to one of the top industrialised nations, creating a big picture of thriving prospect. The bright and promising signs, nevertheless, had a dramatic change in a short time with the other three countries becoming even more prosperous and tremendously surpassing Taiwan in terms of GDP per capita. Taiwan’s overall development, including startups, is no longer shining and, more precisely, is stepping backward. Taiwanese pride has become a thing of the past. However, under no circumstance does it mean Taiwan will permanently collapse and will be unable to ascend to the summit. As a Taiwanese in the startup scene, I still strongly hold on to the belief that Taiwan will become great someday again. I look forward to that day’s coming.